When Randale joined Live For Today, the first thing he told us was that he lost his teeth to cancer. He was afraid to smile, ashamed of his first impression, and was being held back from achieving his full potential. Once a football and track star with collegiate promise, Randale’s life was turned upside-down when he was diagnosed with cancer as a junior in high school. 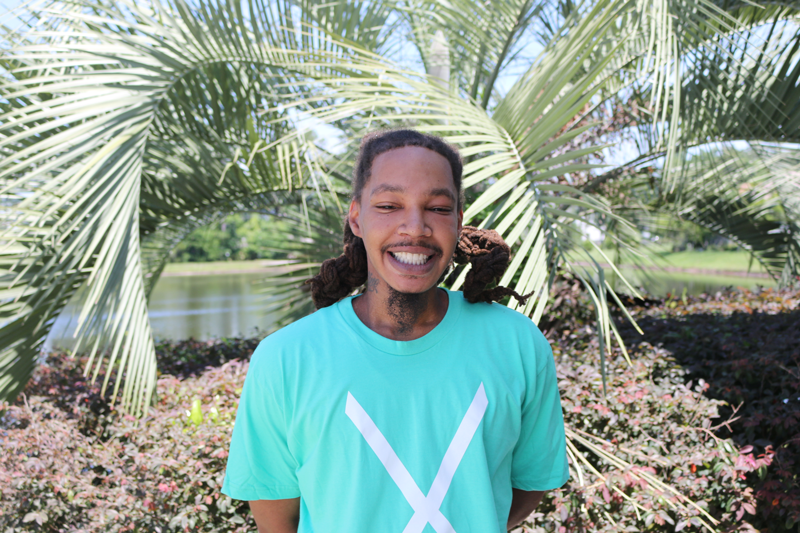 As part of his treatment for nasopharyngeal carcinoma, Randale received radiation therapy to his mouth and nasal passages. As a result, his saliva glands stopped producing saliva resulting in the gradual loss of his teeth. Before cancer, I had my eyes set on being a football/track star. With a promising future set ahead of me, I knew I was going to outshine my troubling past. Just as that dream was becoming a reality, cancer blindsided me and left me on the sideline with no chance of returning to those promising dreams. The years that followed, I had many stipulations I had to overcome. I got diagnosed with hypothyroidism. Radiation drained me of my saliva glands and my teeth started to rot… Mentally, I was a mess. I couldn’t smile. My teeth were disappearing fast and I started to pull back from everybody. As you know, a first impression can go a long way and I was getting cut short of prosperous endeavors because I didn’t look the part. It caused me to back away at first, but I found strength in knowing I survived cancer so there can be nothing that can stop me from living for today because everyday is a blessing. After hearing Randale’s story, we established the Live For Today Foundation Healthy Giving Fund, aimed at providing a one-time gift of medical equipment or services for young adult cancer survivors struggling with disabling late effects from cancer treatment. 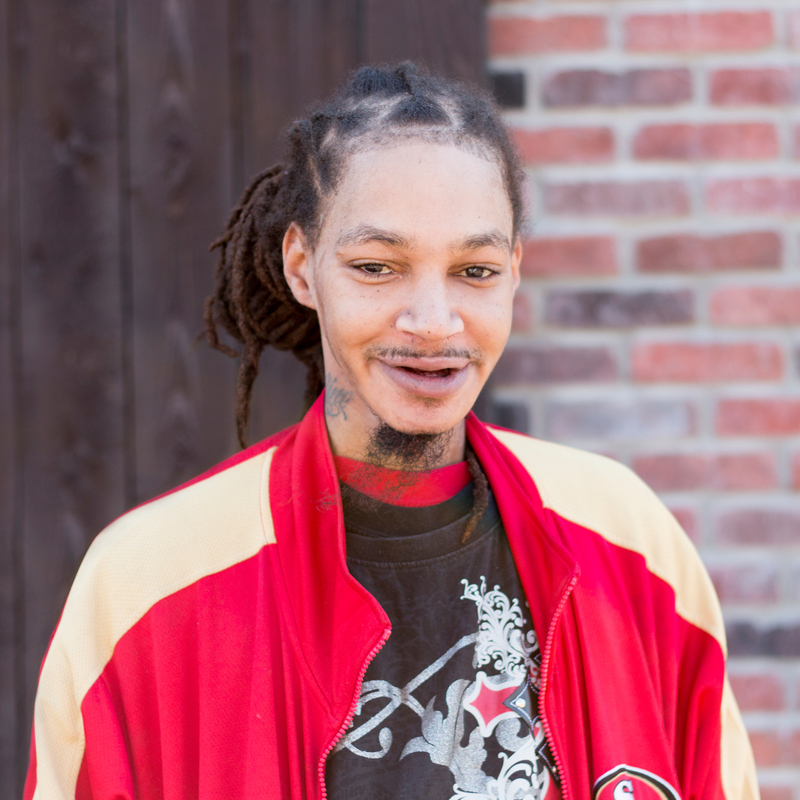 With the help of the Crowdrise community, we were able to raise enough money to get Randale’s teeth back! 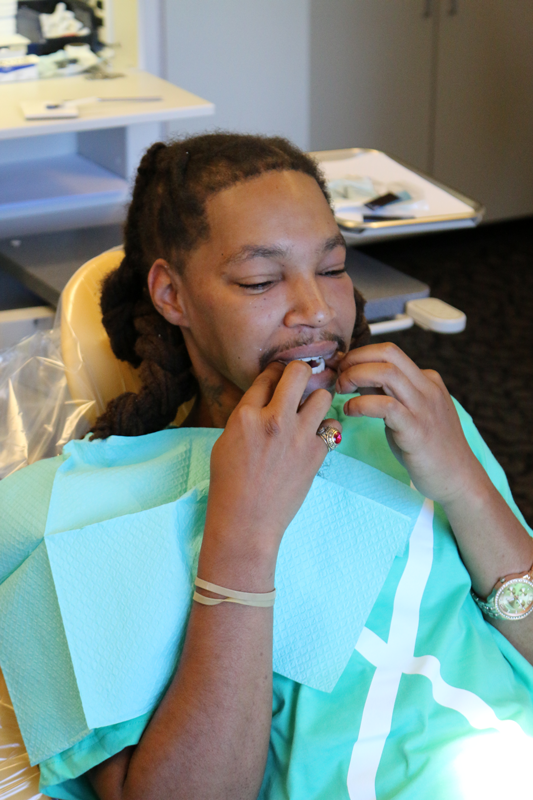 So, on a beautiful, sunny spring afternoon, Randale got his smile back thanks to Eagle Harbor Dental and Dr. Curt Standish. 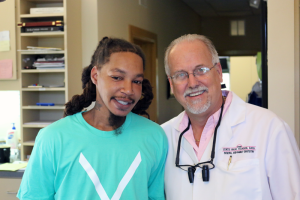 Over the past two months, Dr. Standish has been using his expertise to help make Randale’s wish of having teeth again become a reality. Recognizing how difficult it’s been for Randale, Dr. Standish was dedicated to making sure his teeth not only looked great, but also were fitted properly given the difficulty of his case due to post cancer treatment issues. Seeing the transformation in Randale was nothing short of inspiring. In a matter of minutes, Randale was laughing and his smile was as bright as the sun. Everyone in the office was smiling and we all knew at that moment that things would be dramatically different for Randale. Being without teeth, he had adapted to eating, speaking, and disguising his missing smile. While getting his teeth back is huge in so many ways, it comes with an adjustment period. But, we know Randale is a strong, perseverant young man that can and will overcome any issues in adapting to having teeth again. 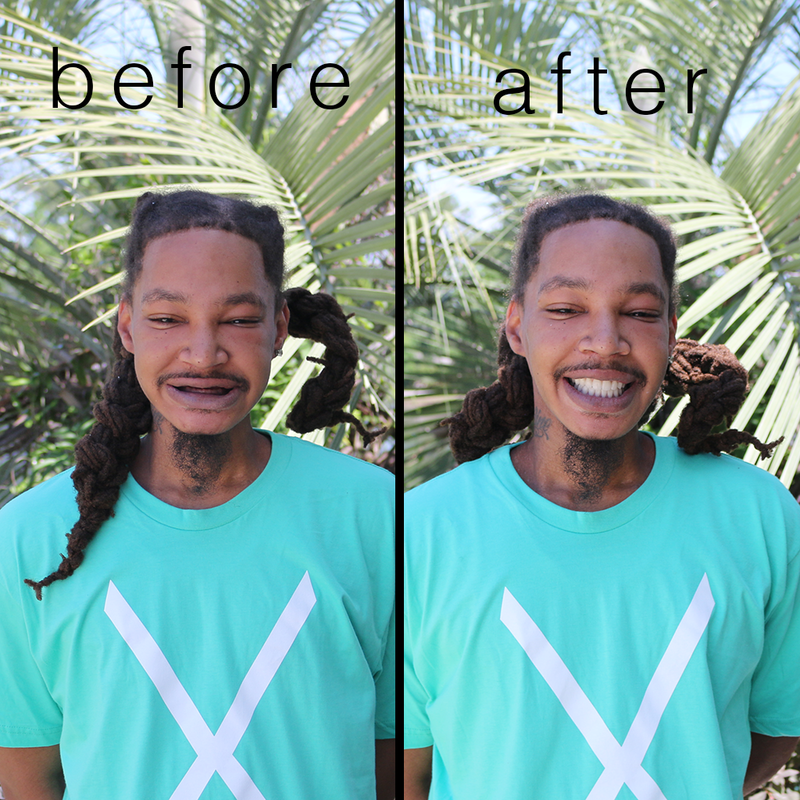 When he saw the picture of his new smile, you could see the gratitude in his eyes, but his words truly say it all. Thank you so much. This is a life turning event. I’m ready for the next chapter in life and I’m motivated even more to succeed.